As I delved into the pool, I found a fiesta of colours in the Mobile Monday pool. Maybe it’s the sun lighting things up, I’m not sure. But it certainly put a smile on my face! 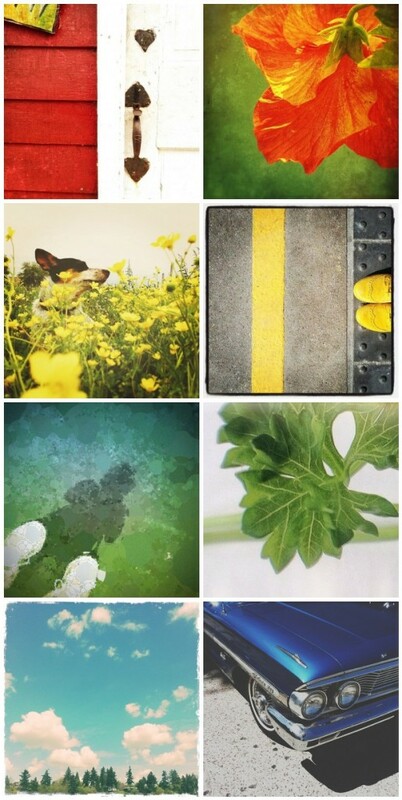 Thank you, as ever, for sharing your lovely pictures with us. What a wonderful, cheerful selection – I love this! A fun way to start a Saturday! Thank you! Beautiful collage, Kirstin, so nicely arranged. These colors make me happy. Thank you for including my pic! What a lovely pallette of color! A beautiful start to my Saturday! It is an honor to be included amoung such beauty. Soaking up this beautiful color as I look out at our melting snow. Wonderful transition from warm to cool colors, Kirstin! beautiful! i love how you arranged the colors.